1 YRS Kemet New Material Technology Co., Ltd.
1 YRS Jiangyin Dingsheng Machinery Equipment Co., Ltd.
Our main products include: Aluminium Profiles, Aluminium Frames for windows, doors and furniture, Aluminium Frames for curtain wall and other aluminium extrusion products series. Labelling Process We can not only produce our own brand, but also can we produce the label as per the customers' logo, which means we're able to provide OEM service. Q: Are you trading company or manufacturer 9 A: We stand as the exportation department of Baiyi Aluminium, which is a famous manufacturer of aluminum products. 1 YRS Foshan Yaopai Decoration Material Industry Co., Ltd. 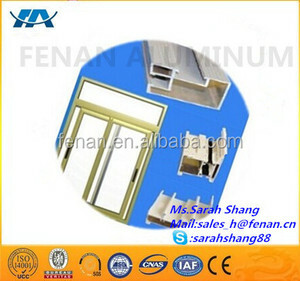 It could help providing a variety of matching products and solution in decoration material industry. We believe YOPO could match up and supply you the most rea sonable solutions for any problem products or orders. YOPO can supply many colors and large range of wood grain surface to satisfy with different countries and clients. 2,More than 16 years of experence in product development and design. length of powder coated profiles9 Powder coated profiles max. But we will try our best to supply you according to your need time. 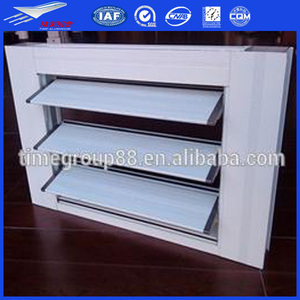 CNAS 9.Standard: China high precision GB5237-2008 Yatai Product Category architectural aluminium profile aluminium profile for sliding window and door aluminium profile for casement window and door heat-insulated window and door profile aluminium shutter profile aluminium profile for curtain wall aluminium handrail profile,etc. 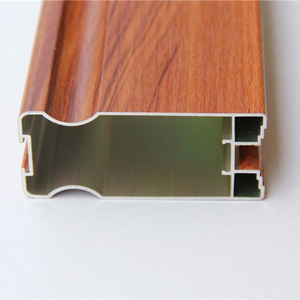 industrial aluminium profile aluminium profile for solar frame aluminium profile for closet door aluminium profile for heat sink aluminium profile for led light aluminium profile for cylinder,etc. 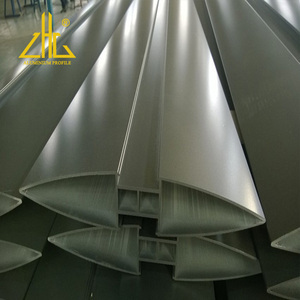 general aluminium profile aluminium u channel aluminium angle aluminium flat bar aluminium round tube aluminium flat tube aluminium square tube,etc. Shandong Jinxiang Aluminum profile CO. ,LTD is a professional aluminun manufacturing factroy sincere 1999, all of our products are of the first class quality and well sold both at home and the world market, the details about the products arfe as follows: Spections: Alloy: 6061,6063,6005,6060 7005 Temper: T3-T8 Press machine: 500 tons &ndash; 2000 tons Surface treatment: anodized, powder coating, electrophoretic, wood grain transfer, polishing Applications: 1.Widely used for windows, doors, curtain walls, and other construction purpose 2.Industry usages Features: 1. High corrosion-resistance, weather resistance, heat-resistance 2. Any color is available in our factory 3.Perfect service with best quality and competitive price If anything interest, pls kindly let me know! Your inquiry is appreciated all the time ! Features: 1) Material:6063-T5/6 2) Design: According to your samples 3) Thickness: Subject to your requirements 4) We are the first Chinese company to introduce the wood like or marble like heat transfer finish from Italy. Products surface with imitating the wood grain and marble grain, with lifelike color and excellent corrosion resistance properties, avoiding the shortcoming of the wood easily damp, mildew, worm-eaten, saving the wood resource, effectively protecting our living environment. 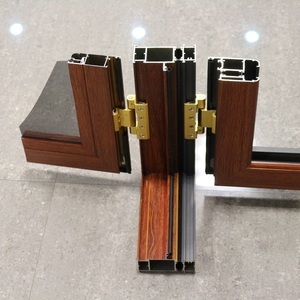 Alibaba.com offers 928 wood like profile products. About 39% of these are aluminum profiles, 1% are plastic profiles. 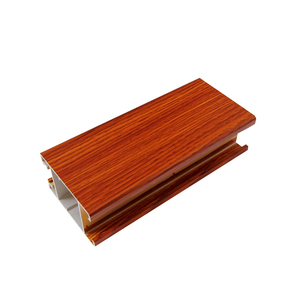 A wide variety of wood like profile options are available to you, such as decorations, door & window, and heat sink. You can also choose from square, angle, and flat. As well as from plastic profiles, sliding windows. 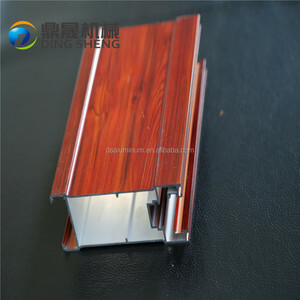 And whether wood like profile is free samples, or paid samples. There are 928 wood like profile suppliers, mainly located in Asia. The top supplying country is China (Mainland), which supply 100% of wood like profile respectively. 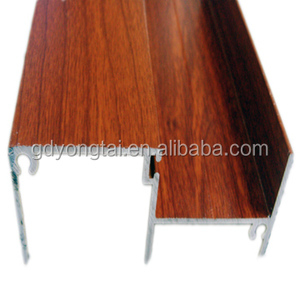 Wood like profile products are most popular in South America, Domestic Market, and Africa. You can ensure product safety by selecting from certified suppliers, including 928 with ISO9001, 444 with ISO14001, and 79 with OHSAS18001 certification.